Think back on the snowmen that you may have built in the past. They were probably 1-2m tall? 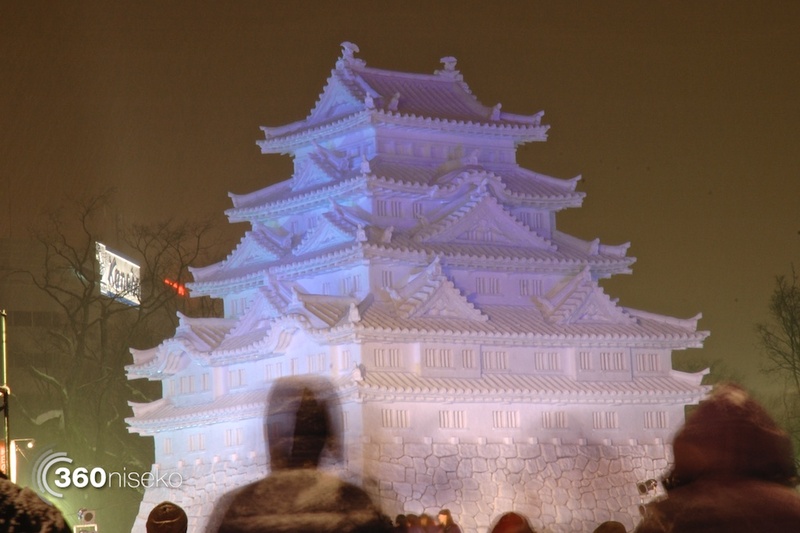 Now, imagine a four-storey replica of an Osaka castle made from snow, or an equally large, and equally intricate Disney-themed stage. 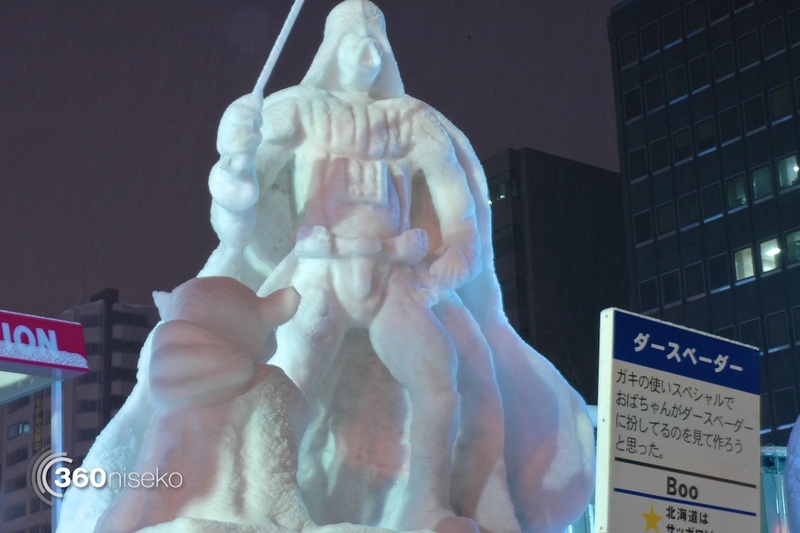 Now also imagine countless other snow sculptures that line Odori Park in Sapporo for as far as you can see. 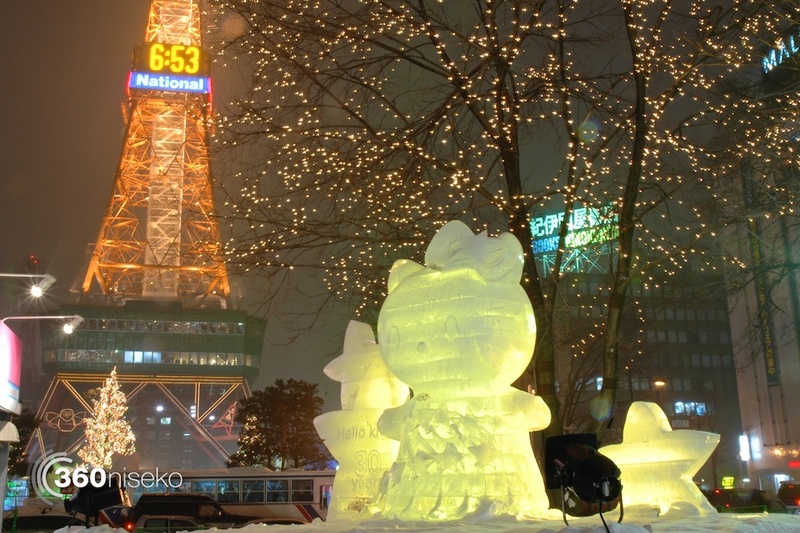 Welcome to one of the biggest festivals in Hokkaido, the annual Sapporo Snow Festival. 2014 is the 65th running of this weeklong festival. It should be common sense, but be prepared for the cold, or at least be prepared to spend lots of time escaping it in cafes in town. 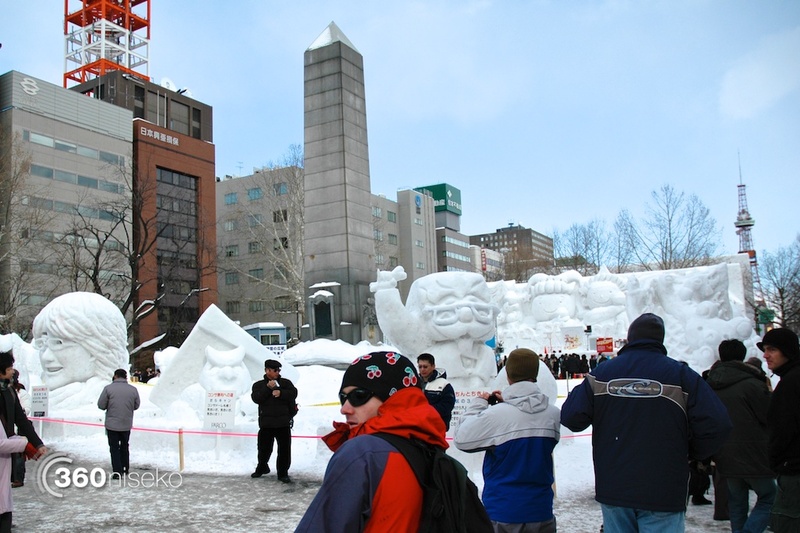 The festival does take place outdoors along several city blocks of the enormous Odori Park and it is subject to all the same winter weather that can be experienced in Niseko. The park runs east to west right in the heart of town, ending at the Sapporo Television Tower, which has a great view of the city and is certainly worth a visit to the viewing platform. It’s not just enormous white snow sculptures, there are also loads of beautiful illuminated ice sculptures, too, so make sure you plan to spend some time there in the evening. And, to make it a little more confusing, the festival is spread out amongst a few sites. 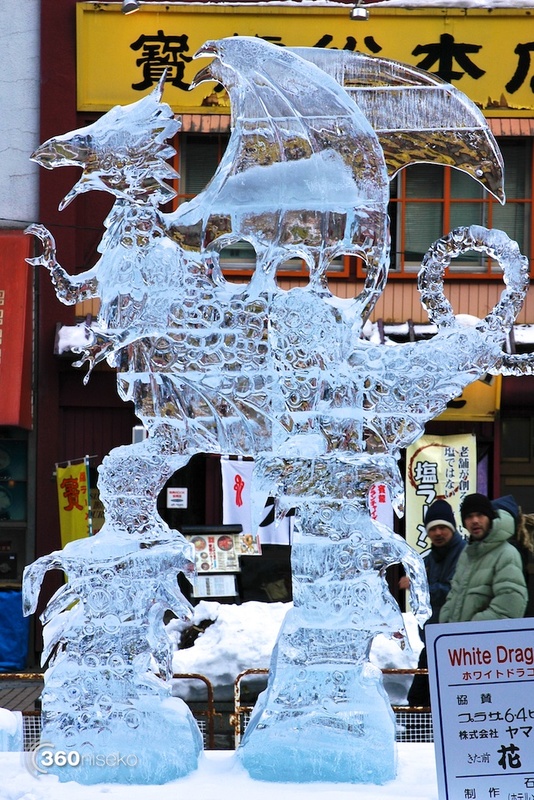 The main Odori Park area has all of the snow sculptures, but a short walk south to Sapporo’s entertainment district, Susukino, and you will find the streets lined with amazing ice sculptures, some of which are like a cross between an aquarium and a fishmonger! There is also the Tsudome site, which is more family friendly and features more interactive sculptures, such as giant ice slides, but is a little beyond walking distance from the centre of town. And, if you needed another carrot, there is also the Toyota Big Air qualifying that takes place on an enormous man-made ramp. Now, the challenging part – getting there. It’s not actually all that challenging, as it is quite a popular tourist activity, there are quite a few tourist companies offering return transfers to the festival. Explore Niseko by Seicomart, or inside 188 Hirafu are a good place to look for information on transfers. Otherwise, there are frequent trains that run from Kutchan to Sapporo. The festival runs until February 11th, so be sure to check it out, it’s a spectacle not to be missed!